Studying Modern Languages: what skills do you gain and how are these relevant in work? E3 Consulting Sponsors Hampshire Hot Shots! Post Brexit View: Improvise, Adapt and Overcome! E3 Consulting's 12 Days of Christmas Quiz! E3 Consulting Crowned Mixed Doubles Tennis Champions! Ian Barwick and Nicky Oliver, attended the 'Meet the University' SME-focussed open day event on Tuesday 9th September. It was refreshing that the University understands the positive benefits that an SME such as E3 can offer. 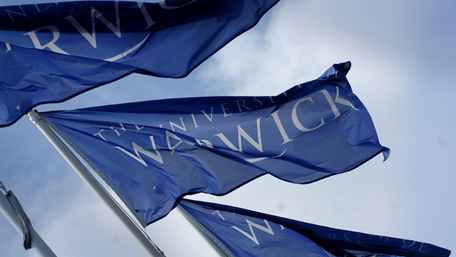 E3 Consulting has been developing a collaborative business relationship with the University of Warwick for the last few years. We are very pleased and motivated to see the continued proactivity from across the University, including from the Warwick University Student Careers and Skills team, the Warwick Business School and other departments and faculties. “The ‘Meet the University’ event was developed in order to give SMEs further access to various parts of the University beyond Student Careers and Skills; it included areas like Warwick Manufacturing Group (WMG), Warwick Business School (WBS) the Warwick Science Park group and others. SMEs attended on the day representing sectors ranging from Engineering to Consultancy and beyond. The University supports external engagement with SMEs as a specific group and encourages involvement across all services. We’re researching and developing our service offering to encourage more participation from SMEs. This is an area of focus for us as students are becoming more aware of SMEs as an option for employment and excellent career prospects. We want students to be able to consider SMEs, in the same way as they would any of the larger graduate recruiters that visit campus or engage with us in other ways. E3 Consulting made some useful new contacts and also met with existing ones. It is refreshing and very positive for an SME business such as E3 Consulting to see the continued activity and support from the University and to see that we are valued and, most importantly, that the University understands the positive benefits that we can offer students, graduates and the University alike. Ian started with E3 Consulting on the University of Warwick Graduate Internship Programme for three months in January 2014. Ian is currently being sponsored to study for an RICS-accredited postgraduate MSc in Quantity Surveying at the University of Portsmouth and, at the same time, he is working towards the RICS Assessment of Professional Competence to become a Chartered Taxation Surveyor.